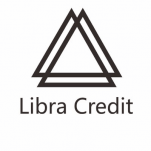 The Libra Credit Platform focuses on a dual-credit risk scoring mechanism that takes into account both the creditworthiness of the pledged collateral, as well as the individual credit information of the borrower. Borrowers may pledge any crypto-assets as collateral and receive loans in their desired asset. Through smart contracts and Libra's own proprietary collateral valuation and liquidation system, Libra Credit will lock in agreed terms between borrowers, lenders, custodians, guarantors and liquidators. 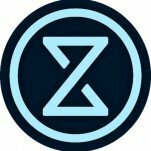 The platform pulls together an ecosystem of 4 different types of partnership networks. The customer acquisition partnership network can help the Libra Credit drive adoption and scalability. Lending applications and e-wallets provide a multitude of acquisition channels for Libra Credit to obtain its customers. Libra Credit lending application partners can facilitate liquidity for its end users through the Libra Credit. LibraCredit can manage the KYC identity verification process of new borrowers through their identity verification partnership network. Libra Credit verifies the borrowers identity after the application is submitted.